Midshire provides all customers wanting a full Managed Print Service the option of a ‘Cost per Copy’ service contract. The cost of your A4 and A3, mono and colour clicks are charged at an agreed rate, dependent on the type of photocopier and usage levels. What does a managed print service include? • All requested service calls. • All required parts and labour. • 4-hour targeted service response. • All black and colour toner. • Routine preventative photocopier maintenance in line with manufacturer recommendations or quarterly visits (whichever comes sooner). • OneStop remote toner monitoring and replenishment. • OneStop remote automatic meter reading system. Whilst most of our photocopier servicing is provided to customers that have purchased or leased their devices from Midshire, we are able to provide photocopier service contracts for equipment that has not been purchased from Midshire. Midshire is committed to service excellence and customer care. We focus and insist on a quality job done by all the Midshire service staff. Each engineer is trained directly by the manufacturer and is supported by a team leader both technically and personally, ensuring customer machine uptime and satisfaction. 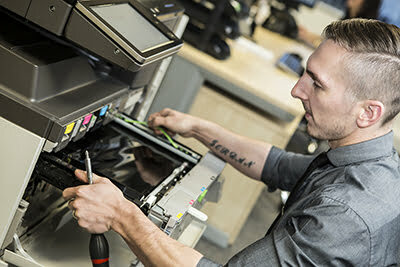 Photocopier servicing is carried out at your office, to minimise disruption. Midshire’s engineers are manufacturer-trained to the highest standards and have years of experience in providing photocopier repairs, refurbishment and maintenance on all makes and models of multifunctional photocopiers and printers, digital duplicators and plotters. We pride ourselves on delivering a quality first fix and the Midshire Group management and engineer team leaders monitor this monthly. This is to maintain our high standards of reliability and up time, increasing the number of days between calls for our customers. We aim to be with you within a working day or faster if the customer requires it (targeted 4-hour response). 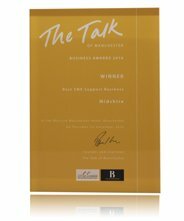 Midshire was shortlisted as ‘Service Provider of the Year’ at the 2015 Midlands Business Awards and was awarded the accolade of Best Office Technology Supplier in the UK 2016 by the UK Corporate Excellence Awards as well as ‘Best SME Support Company’ at the Talk of Manchester Awards 2016. We recognise how important it is to resolve a problem with any printing equipment as quickly as possible, so there is minimal disruption to your business, which is why we offer a full support and service solution at Midshire. No matter what model, brand or type of printing device you have, we can assist. Our engineers have been trained on all of the manufacturer brands we sell, including: Ricoh, Sharp, Lexmark, Toshiba, RISO and HP. You can be confident that you are in safe hands; all you need to do is take a look at our reputation in the industry to see that this is the case.